The cable firm paid a crazy price for Sky. The Mouse House is piling on debt to buy Fox assets, including part of the UK pay-TV group. Selling it would allow CEO Bob Iger to reduce Disney’s leverage or add firepower to battle streaming rivals like Netflix. Either is a smart move. 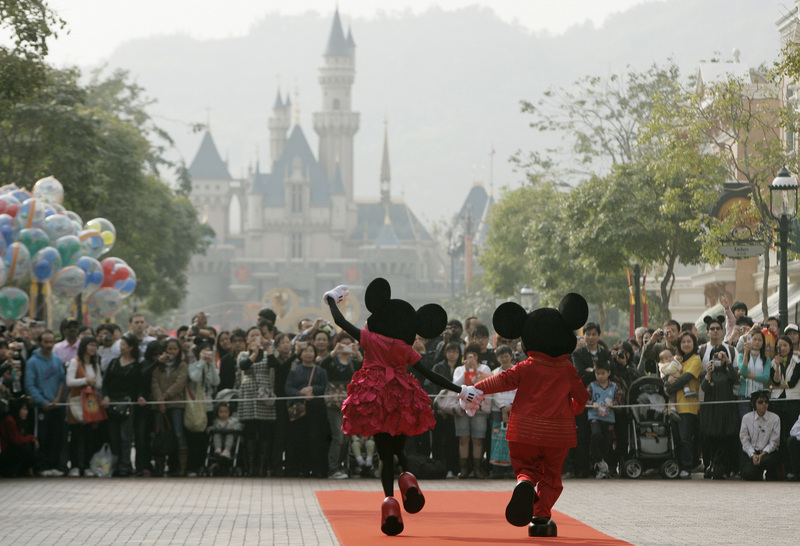 People dressed as cartoon characters Mickey and Minnie greet visitors with their latest Year of the Mouse costumes at Hong Kong Disneyland January 21, 2008. Comcast on Sept. 22 won the bidding battle for Sky with an offer that values the UK pay-TV group at 30.6 billion pounds, or $40 billion. In a rare auction, Comcast’s final offer of 17.28 pounds per Sky share beat Twenty-First Century Fox’s bid worth 15.67 pounds per share. Sky investors have until Oct. 11 to tender their shares. Fox currently owns 39 percent of Sky but that asset will go to Walt Disney under a June agreement in which the company agreed to buy Fox’s entertainment and international holdings for about $71 billion. Comcast shares were down nearly 7 percent at $35.26 at 2:22 p.m. on Monday. Disney shares were up 2 percent at $112.62.